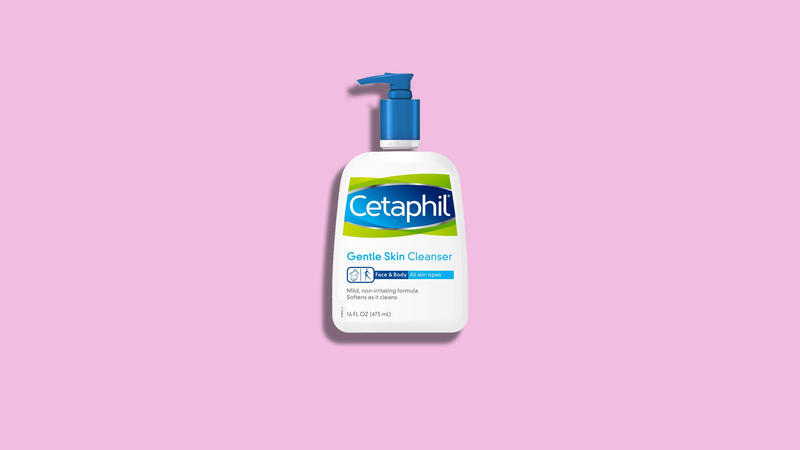 Keep your skin soft, safe, and in perfect shape with these smart steps. If you have type 2 diabetes, taking care of your skin is a major part of staying healthy overall. Diabetics face a double danger: nerve damage can lead to numb, injury-prone hands and feet, while poor circulation and elevated blood sugar can slow down wound healing and increase the risk of infections. About one-third of people with type 2 diabetes will develop a skin problem directly related to their condition. Most problems can be handled by a simple daily skin care routine. Others need treatment right away to prevent serious problems. Here's how to keep your skin in great shape. High blood sugar is dangerous for many reasons, but it can also make your skin dry, and prone to cracking and breaking. This opens the door to infections. And if you do get an infection, high blood sugar makes the infection harder to fight. "The No. 1 key is to get your diabetes in check," says Katherine H. Fiala, MD, director of the dermatology residency program at Scott & White Clinic in Temple, Texas. "If you do that first, everything else is so much easier." People with diabetes are also at risk for high blood pressure, which can affect the skin as much as any other part of the body. "Because the skin is the largest organ of the body, it's affected by everything else that affects your health," says Earlexia M. Norwood, MD, service chief of family medicine at Henry Ford West Bloomfield Hospital in Michigan. Take your blood pressure medication, and don't forget to exercise. It will lower blood pressure and blood sugar, and increase blood flow to your skin, allowing it to stay alive and healthy, says Dr. Norwood. It might feel good at the time, but showering or bathing in hot water is a bad idea because it can dry skin out. Don't let the water temperature exceed 120 degrees and, generally, don't stay immersed for more than 10 to 15 minutes, says Dr. Norwood. Burns from hot water are also a risk if you have diabetic neuropathy, which can cause numbness in the hands and feet. Set your hot water heater at a lower level, recommends Elaine Gilmore, MD, PhD, assistant professor of dermatology at the University of Rochester. Test the water first with your forearm or another part of your body that still has full sensation, and consider using a rubber-duck thermometer available in any drugstore's baby section. A regular moisturizing routine will go a long way toward preventing dry skin. The most important body areas to target are those most prone to drying and chappingyour legs, arms, back, and belly, says Dr. Fiala. There are several diabetes-specific moisturizers on the market, including Gold Bond Diabetic Skin Relief Lotion ($10; amazon.com) and Eucerin Diabetics' Dry Skin Relief Body Lotion ($12; amazon.com). However, there's no need for a diabetes-specific product, says Stephanie Kovacs, a clinical dietitian and diabetes educator at Vanderbilt Children's Hospital in Nashvillecoconut oil can also lock in the moisture. But don't put lotion between your toessome body parts need to stay dry. While you want to keep the more exposed areas of your body moist, the opposite is true for the warm, dark areas, Dr. Fiala points out. Moisture collects quickly under your arms, under your breasts, between your legs, and between your toes, which can result in fungal and yeast infections. Make sure you dry off thoroughly after a shower or bath. You can even use a hairdryer in armpits and other areas where there are crevices, says Kovacs. If you do this, though, make sure it's on a cool setting so you don't burn your skin. Be especially vigilant about your daily moisturizing routine when it's cold or windy outside as skin chaps easily in the winter. Lip balm can smooth lips and using a humidifier inside will make sure the air doesn't get too dry. And when you're outside, always wear gloves or mittenspreferably waterproof onesto protect against frostbite, says Kovacs. If you have diabetic neuropathy, the cold may be injuring your hands without you even knowing it. By the same token, be smart in the summer too. Wear sunscreen and never walk in your bare feetwear shoes at the beach and on hot pavement. Water as well as drinks without caffeine or sugar are good choices to keep your skin looking lustrous. One group of researchers even found that healthy adults who reported drinking four or more 8-ounce glasses of water a day were less likely to develop high blood sugar than those who drank less than two glasses a day. This may be because being dehydrated can increase levels of a hormone called vasopressin, which spurs the liver to produce more blood sugar. That means whole grains, less saturated fat, and lots of fruits and vegetables with one note of caution: Not all fruit is the same for people with diabetes. "Fruits are a carbohydrate so they will affect your blood sugar," says Marina Chaparro, a certified diabetes educator and spokesperson for the Academy of Nutrition and Dietetics. Limit your intake of dried fruits like raisins and cranberriesthey have a lot of sugar packed into a small portion. Your best bet? Eat fresh berries, like strawberries, blueberries, and blackberries. "You can have a lot of these without raising your blood sugar," says Chaparro. When it comes to soap, choose moisturizing products over harsher brands, says Dr. Gilmore. Many people have allergic reactions to perfumed skin products but, more importantly for people with diabetes, these products don't hydrate your skin as well as products that contain fewer chemicals, says Dr. Norwood. Eucerin, for instance, is a good emollient cream for people of all ages, she says. Don't use feminine hygiene spray or bubble bath, which can by drying. Products containing colloidal oatmeal, on the other hand, can be both moisturizing and soothing when added to a bath. Feet are particularly vulnerable because nerve-damage may cause numbness, so that it's easy to miss blisters, splinters, or small cuts. Poor blood circulation means such injuries are prone to infection and slow to heal, which can increase the risk for gangrene and other problems. "Diabetics need to check their feet every day before going to bed to see if there are any changes," says Dr. Norwood. There are some things you can do to prevent problems. Wash your feet daily in warm (not hot) water and never soak your feet. Afterwards, dry well between your toes (add talcum powder or cornstarch to speed drying). Then add a moisturizer or petroleum jelly to the tops and bottoms of your feet (though not between the toes). If there's an injury that's red and spreading or you know you generally don't heal well, see your doctor. If you have diabetes, your feet are also prone to calluses, either because of ill-fitting shoes or from too much rubbing or pressure on the same spot due to numbness. The problem: Calluses make it even harder to feel problems. If you're tempted to take a razor or other sharp implement to a callus, hold yourself back. "You can easily cut through the callus and injure the skin," says Dr. Norwood. This is definitely the time to visit a doctor. What starts out as a tiny cut can quickly escalate into something more serious when you have diabetes. See a doctor if . . .
"Diabetes makes you slower to heal and you're at an increased risk of infection so those two things together make it even more important for patients to clean any injuries immediately," says Dr. Fiala. Call a doctor if you have a cut, burn, or infection that stays red or continues to hurt for more than two days, that spreads, or that is joined by a fever. "Anything that's not getting better and better but getting worse and worse, that's a sign to go in," says Dr. Fiala. Of course, if the injury starts out bada major burn or cutyou need to see your doctor right away. Rapid treatment is the best way to avoid more serious problems.